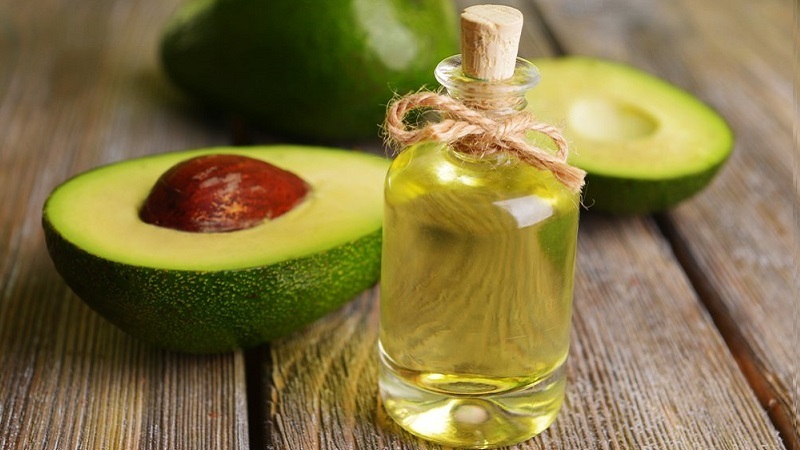 Home » Weight Loss » Avocado Oil: Your Secret Weapon For Weight Loss? Avocado Oil: Your Secret Weapon For Weight Loss? What if everything you know about fats is backwards? Constant hunger, low energy, and motivation slowly dwindling like water dripping from a leaking bucket. These might be the symptoms of too little fat or the wrong type of fat in your diet. I’m going to show you how you can use good fats to change your dieting game completely. More energy, higher motivation - faster results. But first, let’s talk about where the popular dietary fat advice even originated. And why it could be potentially dangerous to your health. Decades of reiterating the same old advice about all fats being bad for you makes you almost believe there’s some truth to it. Mostly it just leaves everyone confused. Don’t worry, you’re not alone in the confusion. Low-fat diets are among the biggest nutrition myths ever told. In the 1960’s the American Heart Association started recommending dietary guidelines on high carbohydrates and low fats. And that’s how the decades lasting association in our minds was born. Carbs, yay! Fats, boo. Now the outdated guidelines are beginning to crumble, and the new evidence-based information is starting to take its place. Bad fats cause weight gain, raise bad cholesterol levels, cause inflammation, increase your chances of getting type 2 diabetes and other chronic conditions. AND can be harmful even in small amounts. Good fats help you lose weight, help you prevent heart disease, decrease your risk for awide variety of diseases, help improve your overall physical and mental health. AND are essential for your body's normal functioning. So the next time your Grandma tells you to load up on the sugar and cut back on the fats, stay calm. Your gramps was misled too. All this time we were led to think that all fats are bad. But studies show again and again that good fats are invaluable to your health. Bad fats and low-fat diets. Consider those your new arch-enemies. Reaching your goals is a lot easier when you have a lot of energy. Losing weight, having more energy for your career, feeling healthier, having a clear and sharp mind all day. Whatever your goals might be, you need to optimize your nutrition, so your body is aligned with what you want to achieve. When talking about good fats, avocado oil undoubtedly takes the first place. Throughout history, it’s been known for its healing properties. Avocado oil differs from other oils quite a bit. Its oil is derived from the flesh of the avocado, not from the seed like it traditionally is. This gives avocado oil its rich nutrient base. Faster and better absorbed nutrients, so you can take full advantage of your diet. Fight off disease and keep your skin and eyes vital with Vitamin E which is found in large concentrations in avocado oil. Detoxify your body and remove heavy metals from your organs with avocado oils rich magnesium content. More productivity and more sustained stamina throughout the day from the slower release of energy. Avocado oil has a prescription drug status in France because of its healing potential in treating Arthritis? That’s how powerful it is. Salad dressings, mayo, grilled veggies, soups - you name it. Avocado oil is a delicious substitute for other cooking oils. And it doesn't have the permeating taste of the coconut oil. You can even just spread it straight on your toast and have a healthy snack in a few seconds. Baking usually revolves around ingredients that are less than preferable for an optimal diet. Change that greasy yellow stick for avocado oil and take your pastries to new, more health-focused levels. One of the easiest ways to get your daily fix of avocado oil is to add itto your smoothies. The taste is mild enough so it doesn’t overpower it and it quickly upgrades your smoothies nutrition content. This method ranks as the most convenient way to quickly get your daily dose of avocado oils healing powers. Use a spoon, pour it into a shot glass or just drink it straight from the bottle - whatever works for you the best! Avocado oils healing and restoring benefits are not limited to just ingesting it. Here are other ways how you can benefit from its rich nutrients base without eating it. Nourish and protect your skin. Applying asmall amount of avocado oil to your skin creates a protective layer on it and absorbs nutrients through your skin which help soothe, nourish and protect it. Avocado oil is commonly used to treat dry skin, rashes, sun damage, wounds and dozens of other skin conditions. Grow your hair faster and fuller. Add a small amount of avocado oil to your wet hair and scalp. Sing your favorite showersong while you let the oil sit for ten minutes. Rinse with warm water afterward and you’re ready.The fatty acids combined with rich vitamins aid your scalp to produce new growth and strengthen your hair to face the stress of your everyday life better. As health conscious people, I think we are always on the lookout for things that can improve us and give us an edge. Just remember: Healthy fats alone are not going to fix all your problems. But small advantages are the essence of a larger picture from which healthy, fit, high-achieving people are made of. And that’s why your choices make a difference! Drop the bad fats. Chuck out the low-fat diets. Celebrate the avocado tree.